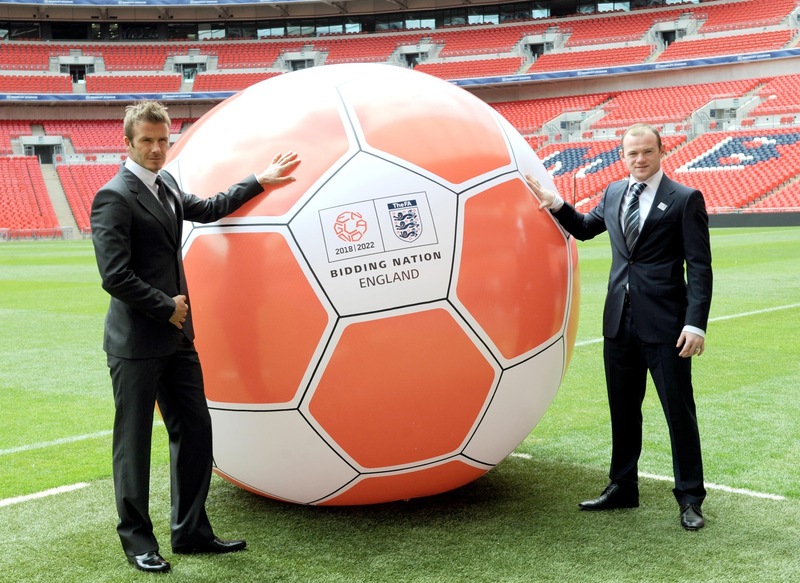 Support England’s 2018 World Cup bid REGISTER NOW! For many of us, it’s something we’ve never had the chance to experience, and more than 50 years after 1966, Pies thinks it’s long overdue that the world’s biggest football tournament comes home (please, no more Three Lions reworkings by Baddiel and Skinner this time). I’ll be in my forties by then, and I don’t want to wait any longer to see a World Cup in my home country. I’m sure you don’t either. So we urge you to get involved with the bid. The best way to show your support is to register to be part of the bid -Â it only takes a few seconds to register, but it will make a difference. Sorry but Australia’s going to get 2018. You can have 2022. Sorry but Engeland can have 2022 and 2018 is going to the Netherlands ;-) ! wot!? you guys got the olympics. sorry, you get one, not both. You can’t feck up the rotation… puff puff give. Asia, Europe, Africa, S. America…. 2018 WC to USA…. woooo hooooo! Kaya, the US had it in 94. Pipe down!